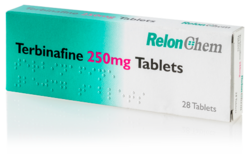 Trebinafine which is an antifungal agent, prescribed for jock itch, athletes foot and other types of ringworm infections. It works by stopping the growth of fungi. Looking for ED Medicine ?